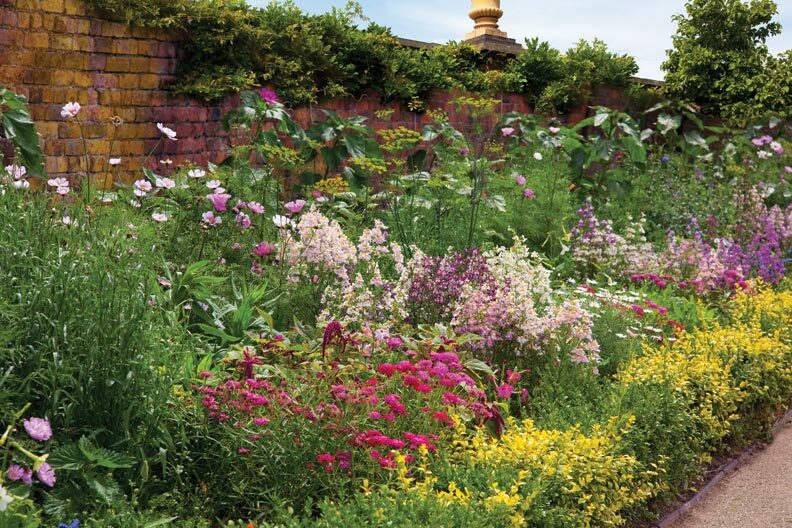 In many ways, you could say that my gardening career began in front of a television screen. The summer I was nine, our local public television station began broadcasting reruns of Thalassa Cruso’s Making Things Grow, and somewhere along the way on one rainy afternoon, I caught an episode. Suffice it to say, I was immediately hooked, to the point where at precisely three o’clock, no matter what I was doing, I would run and park myself for a happy half-hour in front of our old black-and-white console set. For those who may be thinking that’s a rather strange choice of programming for a child, you’ve obviously never experienced Thalassa Cruso’s ability to delight. A Brit with royal diction and razor-sharp wit, Thalassa cracked crocks and divided plants in the same effortless way Julia Child deboned a duck—and with the same carefree sense of humor. I would sit entranced as one day Thalassa attacked a giant rubber tree plant with shears, then the next, stuffed plants down an incredibly thin-necked bottle to construct a miniature landscape under glass. 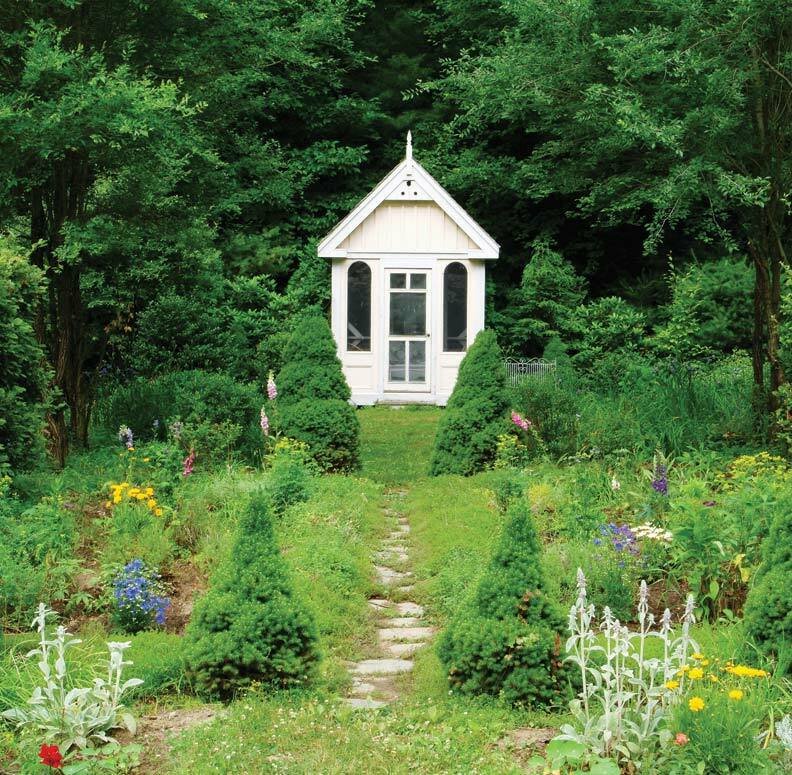 With Thalassa, things didn’t just grow; she made them grow, or else they were chucked unceremoniously into the bin—there were no coddled plants in her gardening world. 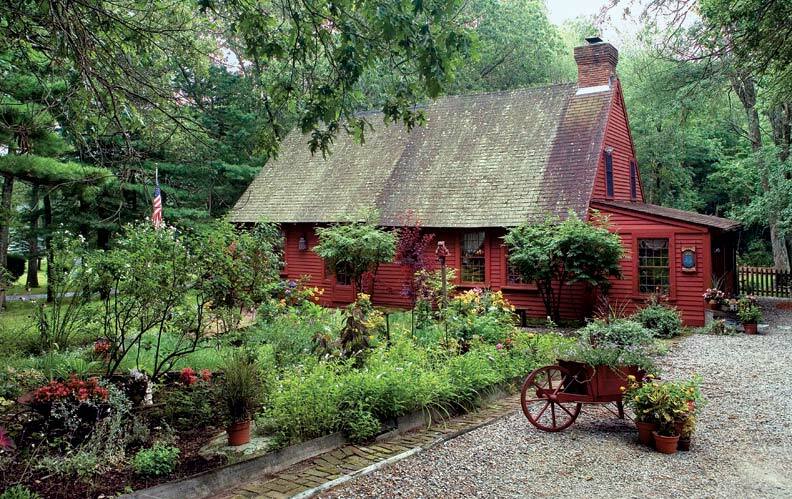 Though eventually the programs ran out, and my interests expanded to the larger world of exterior landscape, thanks to Thalassa, I never lost my love of growing things indoors. If you’re looking for a hardy plant that blooms in the winter and doesn’t require much attention, this is it. 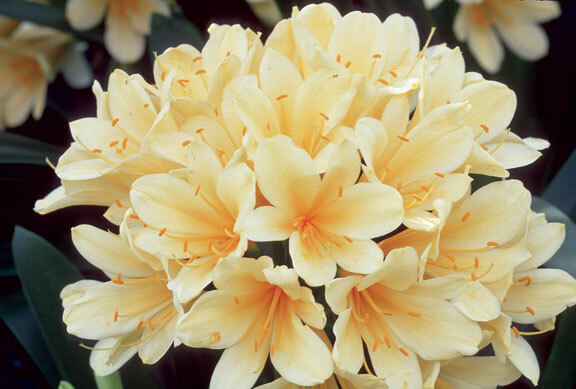 Species of clivia (pronounced CLIVE-ee-a, after Charlotte Florentia Clive, Duchess of Northumberland) are native to the Horn of Africa and were first brought to Europe in 1820. Although rarely seen in American houses, in Europe and Asia clivias are prized as much for their handsome green foliage as for their orange to yellow to red lily-like flowers. (Extremely handsome variegated varieties are also available.) Indifferent to soil, clivias also happily tolerate the lower light conditions common to indoor settings. (Note that I say “lower light,” not “no light”; a bright north or east window is ideal.) The most common problem people seem to have with clivias is getting them to bloom. Often they will sit for years without throwing any flowers. The answer is really quite simple, and shared by many winter blooming plants: Clivias need a period of cool each fall to set bud; if you have a partially heated sunroom or cool window where nighttime temperatures routinely fall into the 40 to 50s, that’s all that’s required. 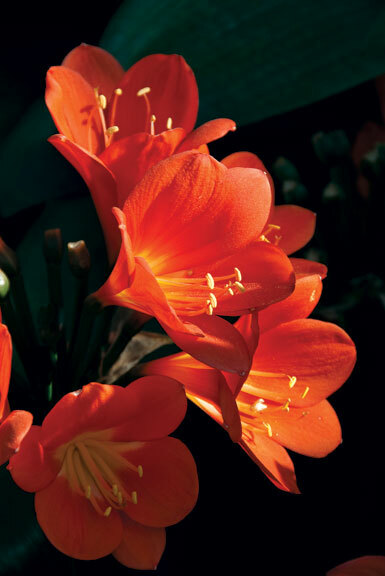 Other than this hereditary quirk, clivias are trouble-free and are unbothered by most household pests. They’re hardy outdoors in Zone 10. 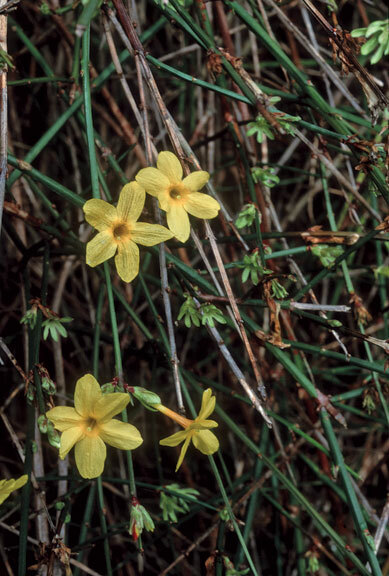 Nothing is more delightful than the scent of flowers indoors when all is cold and dreary outdoors, and here’s a plant that provides that in spades: winter jasmine. A climbing vine by nature (I grow mine in a pot with a little wooden trellis) this jasmine species covers itself with hugely fragrant white flowers right when you need them most, in January. 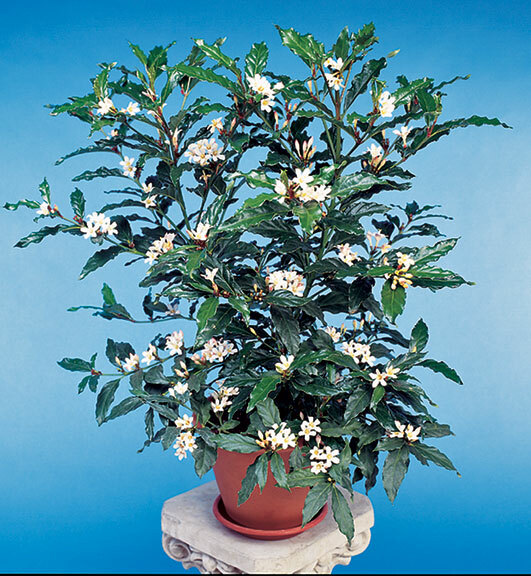 There is only one trick to growing jasmine—like clivias, jasmine needs a period of cool (40 to 50º) temperatures in the fall to set buds. I leave mine outdoors all summer in full sun, then bring it in just before first frost. Placed in a sunny southern window, buds soon form, and presto, every January on the dot I’m treated to a fantastic display of flowers. For those in Zone 8 or higher, winter jasmine can reside outdoors all year round—just make sure to place it near a door or window that you pass frequently to maximize its fragrant appeal. African Gardenia’s blooms are beautifully white and easy to grow. If you’re one of those who hears the word “gardenia” and runs shrieking for the exits on account of the clan’s well-deserved reputation as impossibly cranky houseplants, this gardenia cousin will reform your opinion. African gardenias (which are actually more closely related to the coffee plant than traditional gardenias) are a hardy, easy-to-grow specimen that adapts well to indoor culture. The small white flowers, which are somewhat innocuous but highly fragrant, appear on and off all year round, attractively placed between glossy green, wavy-edged leaves. Hardy outdoors in Zone 10 or above, this is one plant that will relish warmer rooms in winter: African gardenias require a minimum temperature of 55º or above. Just be sure to keep the plant well-watered, thoroughly soaking the pot, then allowing the soil to dry out slightly between waterings. What a charmer, this! 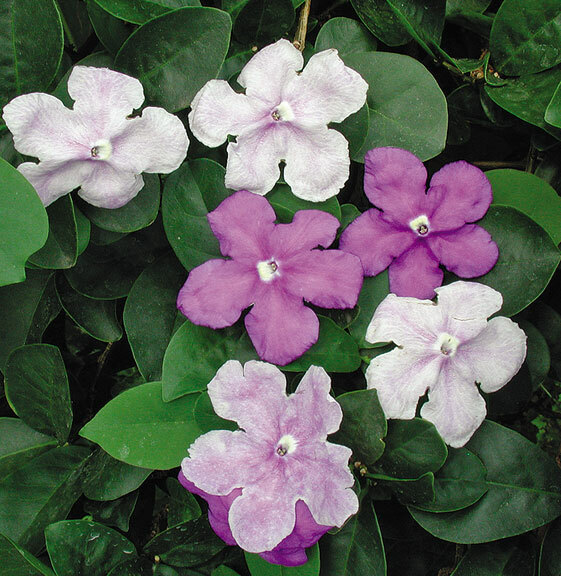 The appeal begins with the name, which derives from brunfelsia’s odd habit of opening flowers in hues of deep violet, which fade to pink, and then white, in several days’ time, creating a multicolored cascade across the plant. Actually a small shrub in its native tropics, brunfelsia makes a delightfully easy-to-grow potted plant, requiring part sun and moderately rich soil. Though the manual states that brunfelsia thrives on being under-potted (i.e., root bound, thus forcing woody growth, which in turn forces more bloom) this hasn’t been the case in my experience. Pot-bound plants dry out very quickly, and brunfelsia shows its displeasure with this condition by going into a major wilt. My own specimen, which is now about ten years old, is about 2&apos; high, and blooms intermittently throughout the year, filling terrace (in summer) and greenhouse (in winter) with a delightful, soft fragrance akin to lilac. Minimum winter temperature is 50º.